The mat is then attached to the page. 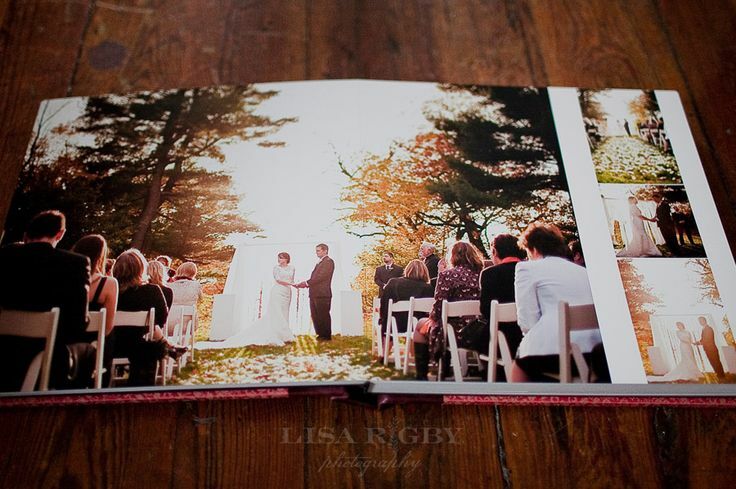 So while it's possible to have large prints within the album, they won't go right up to the edge of the page. 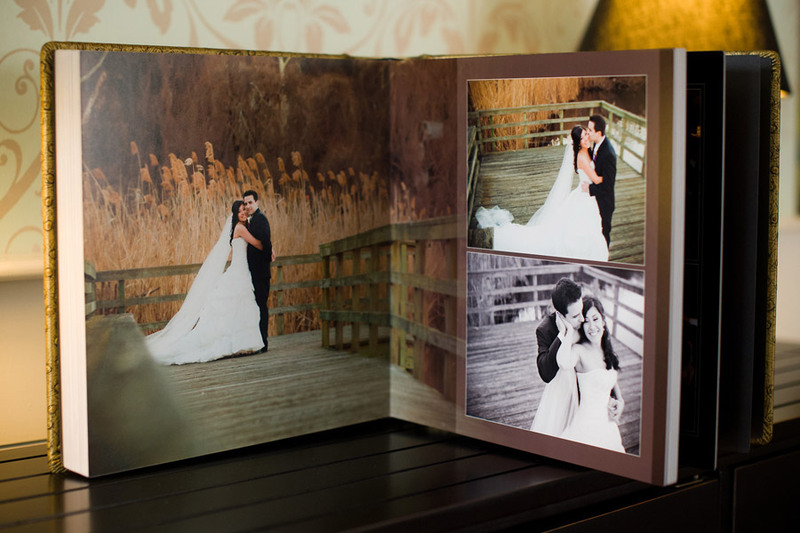 There are two main types of matted wedding album - pre-made and bespoke. These usually come with 10, 15, 20 or 25 pages - that's how photographers buy them from the manufacturer. Common sizes of pre-made albums are 8"x8", 10"x10", 10"x12" or A4, and they may be held in stock or ordered especially for each wedding. Traditional matted albums held one photo per page and they were usually square photos. Now album manufacturers have created hundreds of mat designs, so you can have varied numbers and sizes of photos per page. 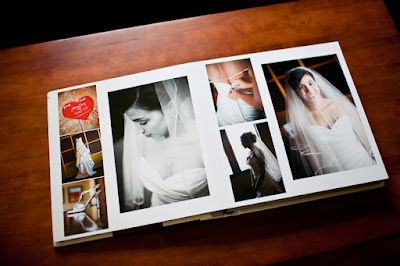 There are two ways to create a matted wedding album. First, you choose the mats for the album then decide how to arrange the photos. 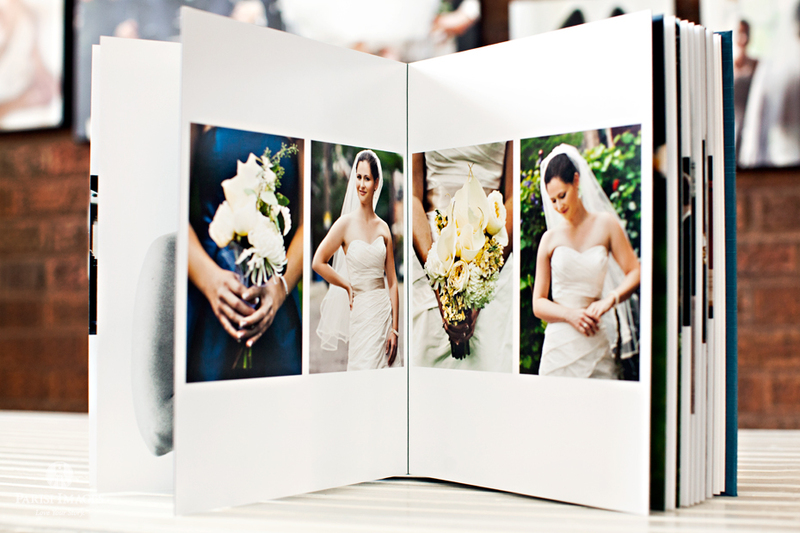 Or second, pick the photos for the album then choose mats to fit them. 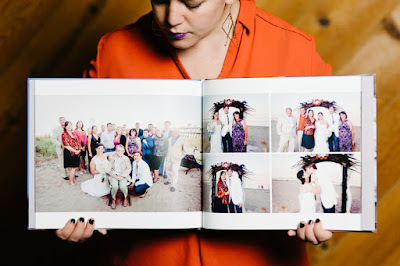 A bespoke matted album is a completely unique product. They're not restricted to certain mat designs created by album manufacturers. 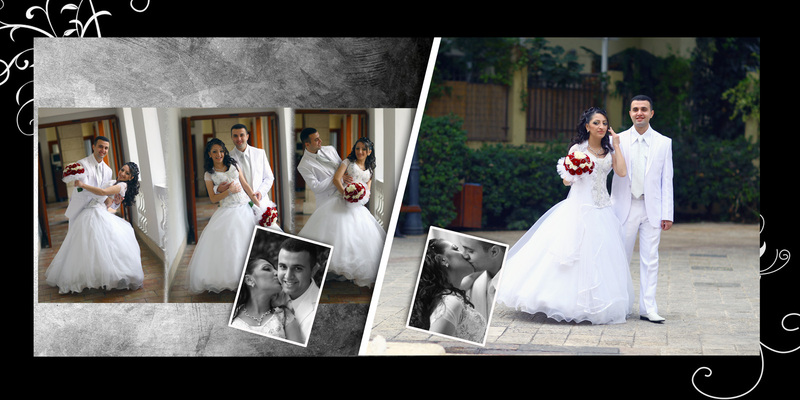 The only limit is the photographer's imagination! There are generally more sizes available to choose from and you won't be restricted by a certain number of pages in your album. 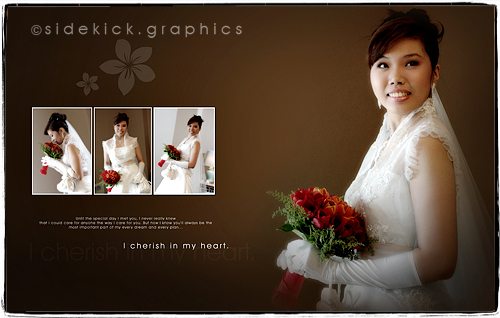 You'll also have a wider choice of cover materials, page colours and page styles. 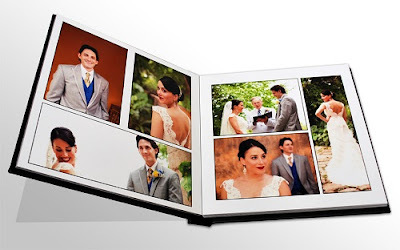 Outsource - wedding album suppliers often have in-house designers who will create the album plan for photographers, and allow them to make changes until they're happy with the design. 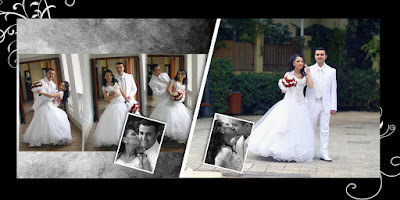 Some photographers have an interactive planning session with the wedding couple, and they'll design the album together. 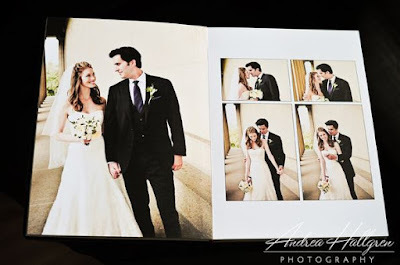 Others may not allow the couple any input into the album layout, as the photographer is the person with the experience and creative vision.